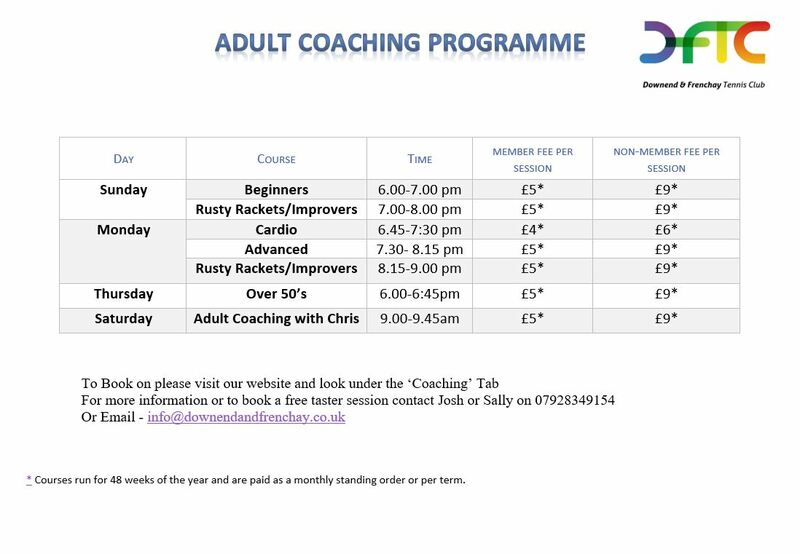 Adult coaching sessions are extremely popular. With people leading busy lives it’s great to take time out for you, where you can come and enjoy yourself, while improving your game. A session where we look at the basic elements of the game where you gain confidence in playing. Please don’t feel nervous about coming for the first time, you’ll be made to feel very welcome. For players who have played before and want to get back into tennis. We focus on basic techniques and tactics of the game. A session for regular club players who wish to develop an advanced understanding of the tactical and technical elements of singles and doubles. 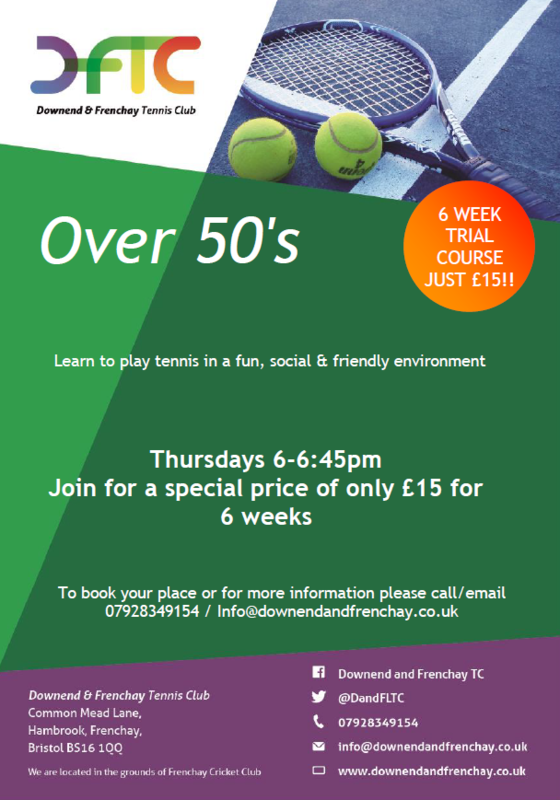 A session for Over 50’s to come along and enjoy some coaching in a relaxed, social environment. SPECIAL OFFER just £50 for 12 weeks of coaching!! If you haven’t played at the club before we also offer a 6 week £15 introductory offer for over 50’s course. See below for details and contact us if you are interested in taking up this offer. 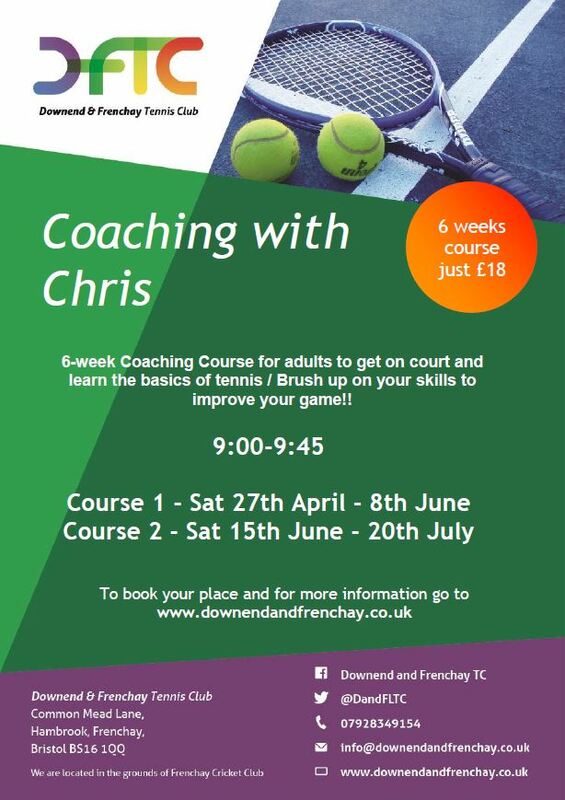 6-week coaching clinic for Parents & Guardians to get on court and learn the basics of tennis / Brush up on their skills to improve their game!! SPECIAL OFFER just £18 for 6 weeks of coaching!! Click the “Please get in touch” button below to contact us if you have any further queries eg about dates of the next course or to talk about your standard and see which one(s) would suit you best or if you would prefer to pay via Standing Order. For a free taster session on any of these sessions contact us.